The fancy fast paced life demands us to wear stylish covered shoes in hot tropical weather. The constant accumulation of dust and sweat, the inability to liberate our feet from pinching shoes often leads to the formation of toenail fungus. Often known as onychomycosis, it is caused by moisture trapped in warm places. A fungal infection on nails takes the form of a white or yellow spot on the tip of the nail and it gradually begins to develop from there on. The affected nail then becomes thick and brittle and is seen to change its color. Since visiting the beauty salon is both time consuming and monetarily not always suitable, we present a comprehensive guideline on how to get rid of toenail fungus at home. This particular ingredient works as a magic potion when it comes to your tiring battle against toenail fungus. Externally – A mixture has to be made comprising one part apple cider vinegar, one part Epsom salts and six parts hot water. The mixture must be luke-warm so that it is effective on the skin but not too hot causing blister break outs. For fast results, soak the affected feet in the mixture for about thirty minutes, twice daily. This process shall be highly beneficial for killing of the fungus. Exfoliation – We are aware of the fact that the process of exfoliation gives a new lease of life to our skin. Similarly, if we can make a scrub with coarsely ground rice flour and apple cider vinegar and apply it around the affected area, a few times a week, removal of toenail fungus is inevitable. Beverage – Apple Cider Vinegar guarantees a foolproof internal process of fighting toenail fungus. Two tablespoon of organic apple cider vinegar and a teaspoon of honey (for taste only) in eight ounces of warm water is equipped enough to clear off toenail fungus. The antiseptic and anti fungal properties of the Tea Tree Oil make it a pro at treating of toenail fungus. A few drops of tea tree oil is to be mixed with a teaspoon of either coconut oil or olive oil. The mixture has to be applied on the affected toenail with a clean cotton ball or a piece of cloth. The mixture is to be left on for about ten minutes and after that a gentle scrubbing of the affected nail is imperative with the help of a toothbrush. This process is to be followed twice or thrice daily till the fungus is on an increasing rate of decline. Baking Soda is fungistatic but not fungicidal which means it can prevent fungus from developing and spreading but cannot kill it. You require one half cup of baking soda, one half cup of Epsom salt, one fourth cup of 3% hydrogen peroxide to four cups of hot water. After mixing the ingredients thoroughly, one fourth cup of white vinegar has to be added. The affected area is to be soaked in the solution for about ten minutes. Then thorough cleansing of the soaked area with clean water is mandatory and so is patting it completely dry. On repeating the process twice daily, the removal of toenail fungus shall be easily possible. Sodium Borate, also known as Borax is a naturally occurring mineral serving as an agent of fungicide. Equal proportion of both borax and baking powder is to be taken along with adequate water to form a paste which is to be rubbed on the infected area. Continuing the process for at least two weeks even after the disappearance of fungus is highly recommended. Olive Leaf Extract not only cures fungus but also acts as an anti-bacterial, anti-fungal agent. 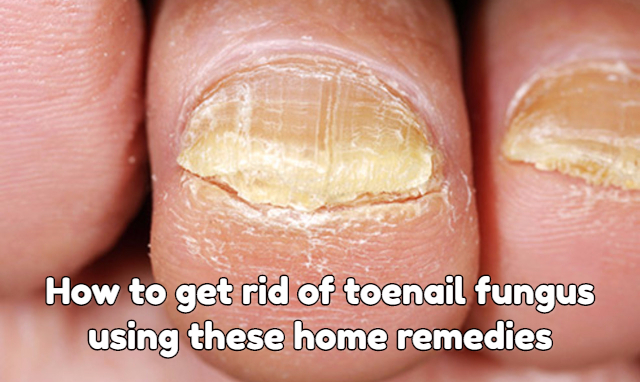 It is one of the best powerful home remedies to combat toenail fungus. As it is a powerful detoxifier, a bit of discomfort is experienced in the beginning but if it continues, discontinuation of its usage is needed. Oregano oil is an effective treatment for stubborn toenail fungus due to its antiseptic, antiviral, antiparasitic, antibacterial, antifungal properties. Blend a mixture of two drops of oregano oil and one teaspoon of olive oil. Leave the mask on for thirty minutes. Rinse it off and pat your feet dry. For best results, perform twice daily for three weeks. Lavender oil can be left overnight to work its wonder on the affected areas. A few drops of lavender oil on the infected nails covered with a pair of socks (not synthetic) to prevent wiping out of the applied oil. Lavender oil can be also teamed up with tea tree oil for better results. The medium chain fatty acid, found in coconut oil, Caprylic acid, has the property to penetrate through fungi like Candida. Once the protective coating of the cell is attacked, the fungus perishes thereby effectively dooming the infection. 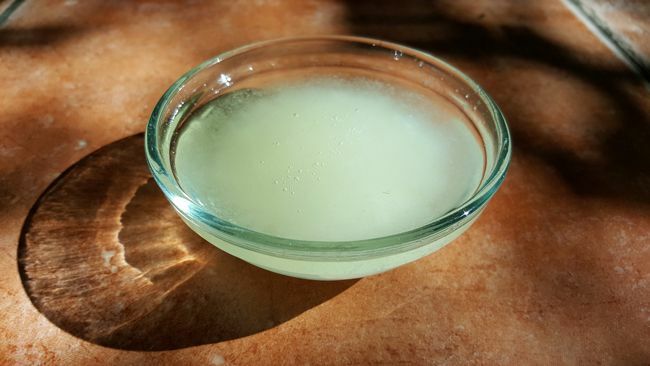 A film of coconut oil around the affected area for at least fifteen minutes not only steers clear the fungus, but also softens and repairs your skin. Compounds like allicin and ajoene present in Garlic, abets its antifungal properties. A mixture of garlic oil and equal amount of white vinegar is to be applied and covered with a bandage. A few hours are required for the mixture to showcase its talent in effectively repairing fungus infected toenails. Also, consumption of crushed garlic cloves daily can internally cleanse you of toenail fungus. With the help of the above mentioned tips, brace yourself for a sweaty summer and humid monsoon where you might get your nails infected with fungus only to wipe them clean as you are now very well aware of how to get rid of toenail fungus.